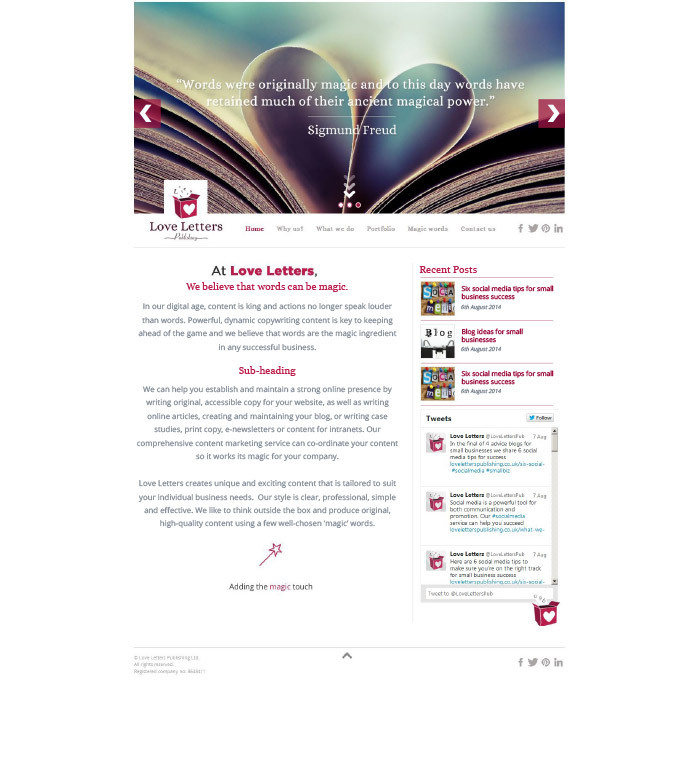 ICM Studios was tasked with re-designing and building elements of Love Letters Publishing's website. All the new designs for the website was done by ICM Studios with direct input from the client. We provided multiple designs for the client to choose from and then developed the additional pages and new designs in a speedy and efficient manner. The website developments were delivered on time and within the given budget. Along side designing and developing areas of the website we also helped build and produce an email campaign for the launch of the company, using custom coding, and mailchimp. Photoshop was used to design the new look of the website. I cannot recommend ICM Studios highly enough. Iskander is very creative and responsive and he delivers a first-class service. He is very careful and adds a lot of value through the suggestions he makes. He takes a lot of the stress out of building a website and is a pleasure to work with.